This episode was recorded in 2013. “Jerusalem” runs Feb. 13 – March 10 at Crow’s Theatre. 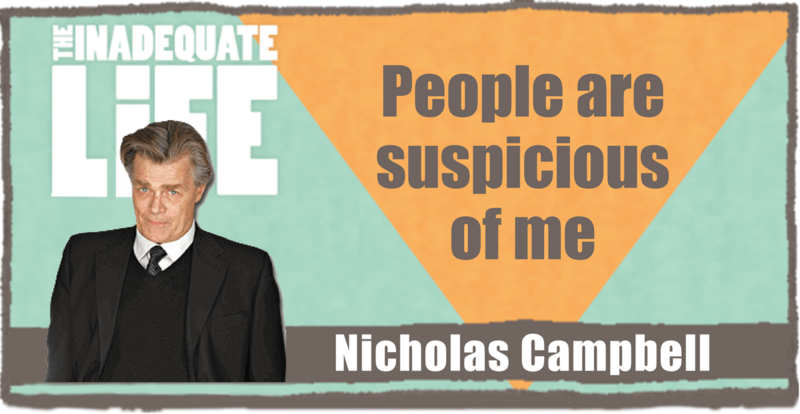 Actor and director Nicholas Campbell discusses how he switched from studying law to theatre, his love of horse racing, his hopes to do more stage work and the greatly exaggerated rumors about his drug use. Campbell’s interest in theatre began at Queens University, soon after that he moved to England and studied at the Royal Academy of Dramatic Arts. His early feature films include the Hollywood blockbusters “The Omen” (1976) starring Gregory Peck, “A Bridge Too Far” (1977) starring Sean Connery and “The Spy Who Loved Me” (1977) starring Roger Moore. Campbell is best known for his leading role in “Da Vinci’s Inquest,” a TV series about a hands-on, crime-solving Vancouver coroner. Nicholas Campbell, and the improv group The Imponderables, (Dave Brennan, Tony Lombardo, Jon Smith, Eric Toth), won ‘Best Ensemble Performance in a TV or Web Series’ at the 2013 Canadian Comedy Awards. Check out episodes that also mention acting, CBC, Queens University, Theatre, TV.